Ben A. Vinson, Jr. has over 7 years of experience working in asbestos law, beginning his career at Fleming & Associates in Houston, TX. At Fleming & Associates, Ben began work as a law clerk in December 2009, eventually working as an investigator in May 2011. 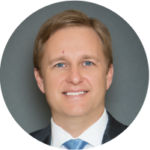 In April 2012, Ben was admitted to practice law in the state of Florida, and in July 2012, he left Fleming and Associates and formed his own practice, Vinson Law P.A., and continued working in asbestos-related law. Ben earned his J.D. from the South Texas College of Law in May 2011, notably finishing the program 6 months ahead of schedule. He was awarded Best Speaker (Preliminary Round) during the Wechsler First Amendment Moot Court Competition, was a Quarterfinalist in the Vanderbilt First Amendment Moot Court Competition, and was a Finalist at the Rendings Products Liability Moot Court Competition. Ben also competed in Mock Trial Summer Academy at the United States District Court for the Southern District of Texas. He earned his B.A. in Economics from the University of Texas in May 2003. Ben is also a 2013 graduate of Gerry Spence’s Trial Lawyer’s College. In February 2014, Ben opened his practice further to begin working on auto collision and personal injury cases, and in April 2014 was admitted to practice in the United States District Court for the Southern District of Illinois. Ben is a member of the American Association for Justice (AAJ), as well as a member of the AAJ’s Asbestos Litigation Group, the Florida Justice Association, and the Tampa Bay Trial Lawyer’s Association. In 2017, Ben Vinson was named US Supreme Court bar member, & “Officer of the Court”. Also in 2017, Ben has been awarded the distinction of being a Top 40 Under 40 Trial Lawyer for the State of Florida! Membership in the Top 40 Under 40 association is by invitation only and is extended exclusively to those individuals who exemplify superior qualifications, trial results, and leadership as a Civil Plaintiff trial lawyer. Selection is based on a thorough multi-phase objective process which includes peer nominations combined with third-party research. In October 2016, Ben obtained a 3.4 million dollar Hillsborough County, Florida jury verdict. His client had suffered a traumatic brain injury when rear-ended by a tractor-trailer. Also in 2016, Ben filed a class action suit on behalf of allegedly defrauded patients of the Lung Institute. https://goo.gl/K26ruQ. In May 2016, Ben competed in an IRONMAN triathlon, clocking in at a little less than fifteen hours. In his free time, he enjoys spending time with his sons, Ben Andrew Vinson III and Smith Vinson, and his wife Megan.